Led by Rev. Christie Anderson and Worship Associate Elaine Bowen – Celebrate festive Christmas fellowship at the adult- oriented service at 8:30 PM. 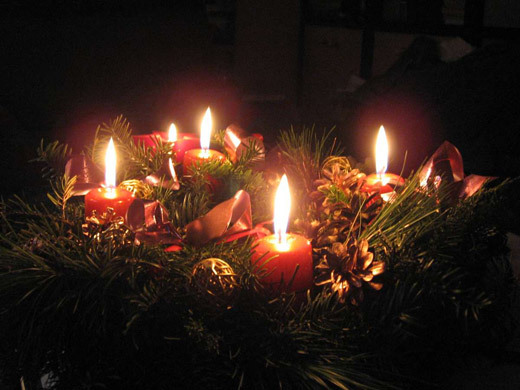 Join in singing traditional Christmas carols, be moved by musical pieces by the talented UUCK choir, contemplate a message on the inspirational power of Christmas, and share a communal candle lighting.